Today marks the birth of one of the greatest creative minds and one of my all-time favorite authors, Dr. Seuss. He published 46 children's books that were characterized by extremely imaginative characters, rhymes, and use of anapestic meter (characterized by two short syllables followed by a long one). 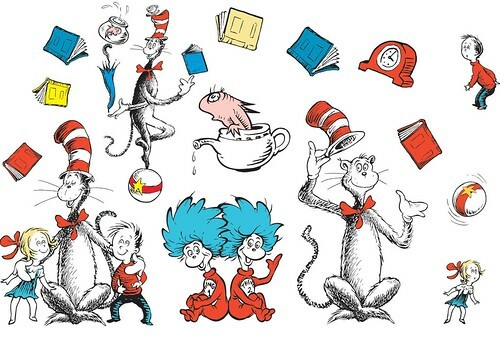 Some of the most well-known of these books are Green Eggs and Ham, The Cat in the Hat, One Fish Two Fish Red Fish Blue Fish, Horton Hears a Who!, How the Grinch Stole Christmas, and, my favorite, Oh, the Places You'll Go. Born on this day in 1904, Theodor Seuss Geisel would become to be known as a beloved American writer, poet, and cartoonist. He was mostly known for his children's books written under the pseudonym "Dr. Seuss"; he also used the names Theo LeSieg, Rosetta Stone. He was born in Springfield, Massachusetts, to Theodor Robert Geisel and Henrietta (Seuss) Geisel. It was a street his grandparents lived on in his hometown that inspired the name for his first children's book And to Think That I Saw It on Mulberry Street! After graduating from Springfield Central High School he attended Dartmouth College. In college he joined the Sigma Phi Epsilon (ΣΦΕ) and the humor magazine Dartmouth Jack-O-Lantern (he'd eventually become editor-in-chief). It was during his collegiate career that he started to use the pseudonym "Seuss" as he was forced to quit his extracurricular activities after caught drinking in his room during Prohibition. After graduating from Dartmouth he attended Oxford University in England, where he intended to earn a Doctorate of Philosophy in English literature with the intent of employment as a professor afterward. It was here that he would meet his future wife, Helen who would encourage him to draw and write. They married in 1927 and they would return to the United States without his earning his intended degree. Once home he began submitting humorous articles and illustrations to Judge, Life, Vanity Fair, and Liberty publications. It was in 1927 that he started using the pseudonym "Dr. Theophrastus Seuss" which would be shortened to "Dr. Seuss" in 1928. He became famous from his advertisements for Flit (a common insecticide at that time) where he used the slogan "Quick, Henry, the Flit!" He drew advertisements for General Electric, NBC, Holly Sugar, Ford, Standard Oil, and many other companies through which he was able to support himself and his wife through the Great Depression. In 1937 while on an ocean voyage to Europe, he wrote his first book, And to Think That I Saw It on Mulberry Street!, which would be rejected several times. The number varies as to how many times it is rejected, but it somewhere around 25-30. As the United States entered World War II Geisel turned his attention to political cartoons where he drew over 400 cartoons in two years for the left-leaning NYC daily newspaper, PM. Later a book would be published called Dr. Seuss Goes to War which contained many more cartoons, most of which denounced Hitler, Mussolini, and American isolationists. His cartoons were strongly supportive of FDR and his handling of the war. In 1942 he would start to work for the US government to support the war effort; first with the Treasury Department and then he would commission as Captain for the US Army where he was placed in charge of the Animation Department of the 1st Motion Picture Unit. After World War II ended, he moved to La Jolla, California, and returned to writing children's books. Over the next decade he'd write If I Ran the Zoo, Horton Hears a Who!, If I Ran the Circus, The Cat in the Hat, How the Grinch Stole Christmas, and Green Eggs and Ham. It retained the drawing style, verse rhythms, and all the imaginative power of Geisel's earlier works, but because of its simplified vocabulary, it could be read by beginning readers. In 1960, Bennett Cerf, co-founder of Random House publishing, bet Seuss that he could not write a book using "fifty or fewer distinct words." Cerf lost the bet when Seuss came out with the famous book Green Eggs and Ham. Fun fact, Dr. Seuss is credited with the first recorded instance of the word “nerd” in If I Ran the Zoo, published in 1950. From the emotional troubles from battling health problems, losing loved ones, and other trials in her life, Helen sadly committed suicide on October 23rd, 1967. Seuss would remarry a woman by the name of Audrey, but they would never have kids; he is quoted as saying "You have 'em, I'll entertain 'em." 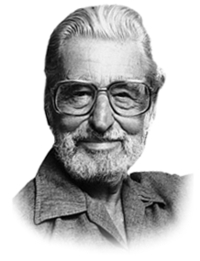 Dr. Seuss died of throat cancer on September 24th, 1991, at his home in La Jolla at the age of 87. "I miss him terribly—there will never be another Dr. Seuss." Dr. Seuss is still remembered and memorialized with honors even after his death. The University of California, San Diego's University Library building was renamed "Geisel Library" on December 1st, 1995. In 2002, the Dr. Seuss National Memorial Sculpture Garden was opened in his hometown which features sculptures of Dr. Seuss and many of his famous characters. On December 15th, 2008, Dr. Seuss was inducted into the California Hall of Fame by Governor Schwarzenegger. On April 4, 2012, the Dartmouth Medical School renamed itself the Audrey and Theodor Geisel School of Medicine in honor of their many years of generosity to the college. His honors also include a Star on the Hollywood Walk of Fame, an Oscar, two Academy Awards, two Emmy Awards, a Peabody, the Laura Ingalls Wilder Medal, the Pulitzer Prize, and honorary Doctorate of Humane Letters from Dartmouth.